New Summer menu with many more Meat Free options! Today we launch our new Summer Menu. We have included many new meat free options. The emphesis is on fresh ingredients - made on the premsies - and amazing recipes. We are aiming to have half our menu Meat Free. Not just a veggie option. We don't like to labeling food meat of veggie. We just want to serve good food. 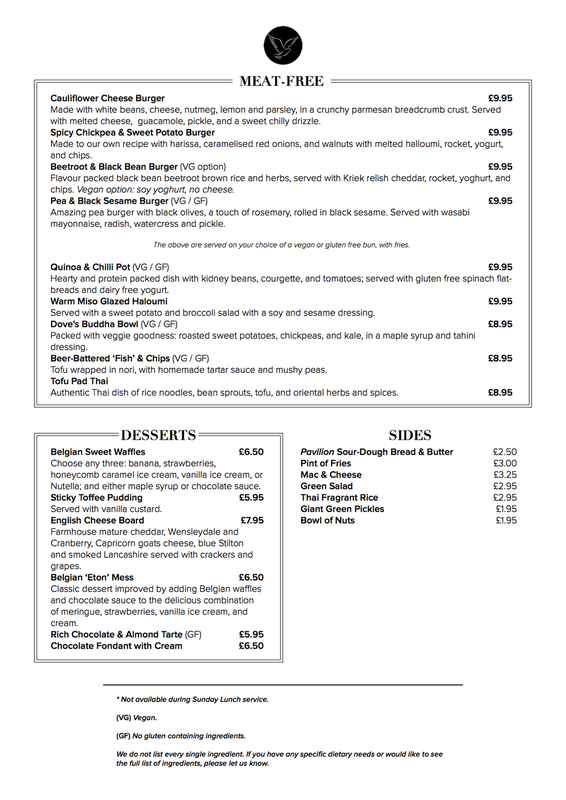 Check out our new menu below.